The Fraunhofer Institute for Laser Technology ILT is set to host ‘Laser Technology Live’ at its user centre on the second day of the upcoming 12th International Laser Technology Congress ‘AKL’18’, which takes place on 2-4 May in Aachen, Germany. The event will give the anticipated 600 conference attendees the opportunity to see 77 presentations on innovative applications in research and industry and discuss new technological developments in depth with the institute’s researchers, who themselves will be presenting a new development targeting quality assurance in additive manufacturing. Using the example of extreme high-speed laser material deposition (EHLA), visitors will be able to see for the first time how the measurement of powder feed nozzles can be automated and standardised with a system-integrated module. This means the user knows exactly how much powder is being supplied, allowing the patented measurement technique to make a significant contribution to ensuring process quality and stability. In the field of ultrafast lasers with high average power, it is all about power scaling: How can the increased average power be efficiently translated into machining processes with the aim to process metal, ceramics, and glass even faster while maintaining accuracy? Here, experts will be showcasing the two fundamental concepts: For the one thing the parallelization, using multi-beam technology and for another thing the machining with high repetition rates using fast deflection systems, such as a polygon scanner. Researchers will be available to answer any questions on these and other topics at over 80 live presentations. On the evening of May 3, Fraunhofer ILT will welcome conference attendees to the inauguration of the I3-Research Center DPP. In adopting the I3 format – integrated interdisciplinary institutes – RWTH Aachen University is pioneering a new and trend-setting form of interdisciplinary university collaboration. At the I3-RCDPP, 16 institutes from across six faculties will conduct research together on the use of the photon’s unique physical properties in the production of the future. The German federal and state governments are funding a new research facility for this interdisciplinary research program, and the new building will be completed in the summer of 2018. The facility will be home to some 80 research scientists working on shaping the future of digital photonic production over 4,300 square metres of laboratories and floor space. It joins the privately funded Industry Building DPP, opened in 2016, as a further addition to the Digital Photonic Production research campus. The specialist technology side of the conference will be accompanied by a sponsors‘ exhibition featuring more than 50 renowned laser technology companies. Visitors will have the opportunity to enter into one-on-one conversations with the exhibitors, allowing them to learn more about innovative products and processes in laser technology, make new contacts or strengthen existing ones. All conference presentations will be given either in English or in German, with simultaneous translation into the other language. The AKL’18 International Laser Technology Congress is organised by the Fraunhofer Institute for Laser Technology ILT. 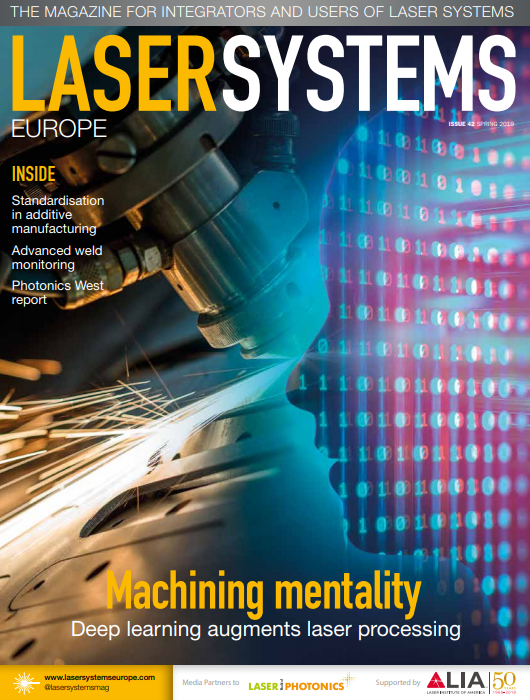 It is supported by input from the European Commission, the European Photonics Industry Consortium EPIC, the Arbeitskreis Lasertechnik e. V., the European Laser Institute ELI, OptecNet and the SPECTARIS, VDA, VDMA and VDI industry associations.